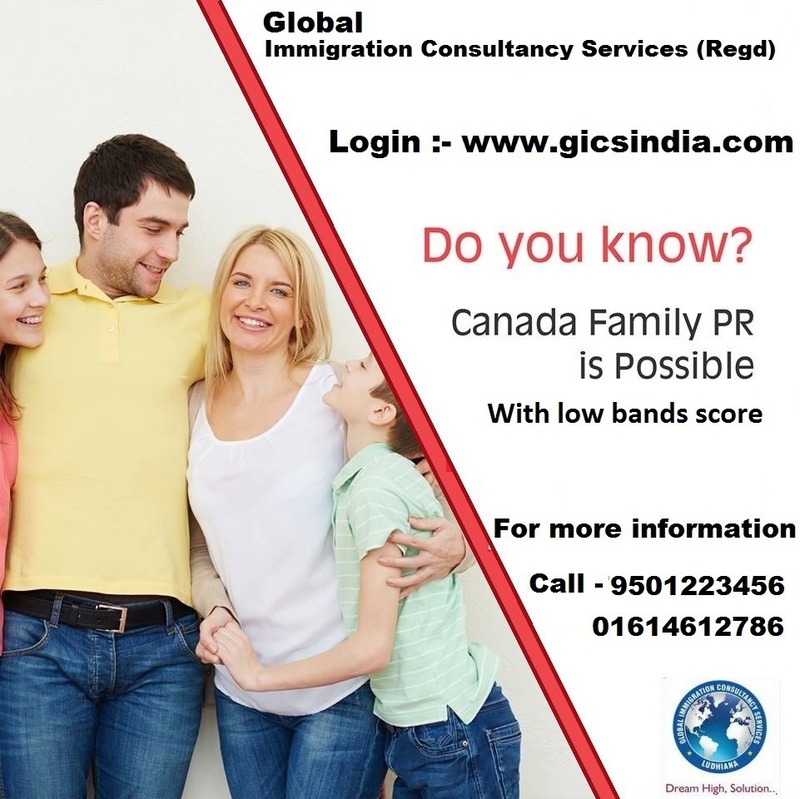 Do you know Canada Family PR is possible now with low bands score. So Apply for PR now. Visit Global Immigration, Ludhiana. Contact - 7347011602, 01614612786.